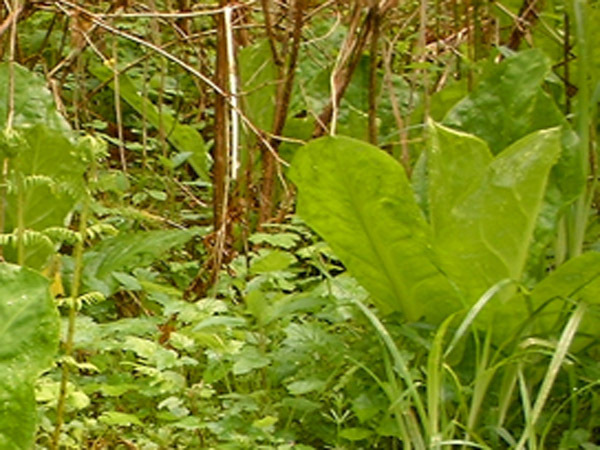 This plant is not only native to North America, but is the only native species to the Pacific Northwest. It is also the single member in its genus. The large yellow 'petal' is called a spathe (sounds like a lisp!) which houses the actual flower. This particular flower conformation is called a spadix. This plant wins the prize for largest leaves of all natives here. They really are jumbo aren't they. Native American tribes put the leaves to many good uses such as folded into 'cups' for berries, lining cooking pits, covering food for storage, etc. 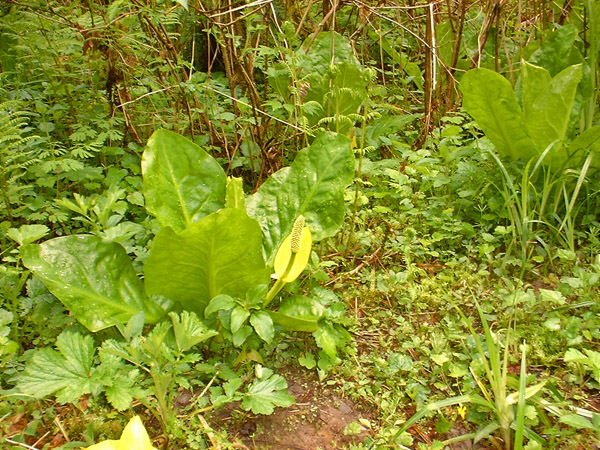 WIKIPEDIA says this about the plant's name: 'The plant is called Skunk Cabbage because of the malodorous, distinctive "skunky" odor that it emits. This odor will permeate the area where the plant grows, and can be detected even in old, dried specimens. The foul odor attracts its pollinators, scavenging flies and beetles. 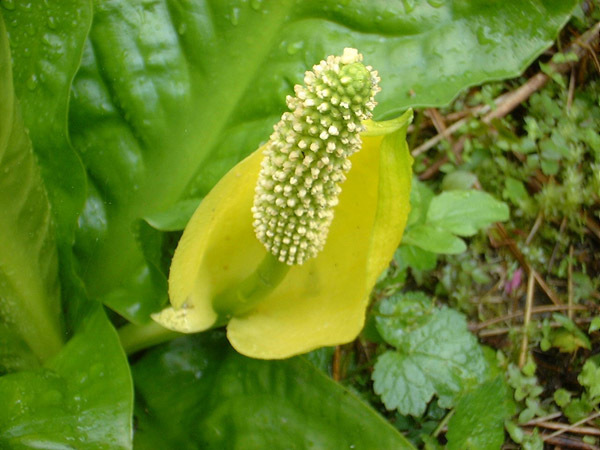 Other common names include Yellow Skunk Cabbage and Swamp Lantern.' End quote. Quite a distinctive and interesting plant. USES: Other interesting factoids are available from WIKIPEDIA as well: 'The plant was used by indigenous people as medicine for burns and injuries, and for food in times of famine, when almost all parts were eaten. 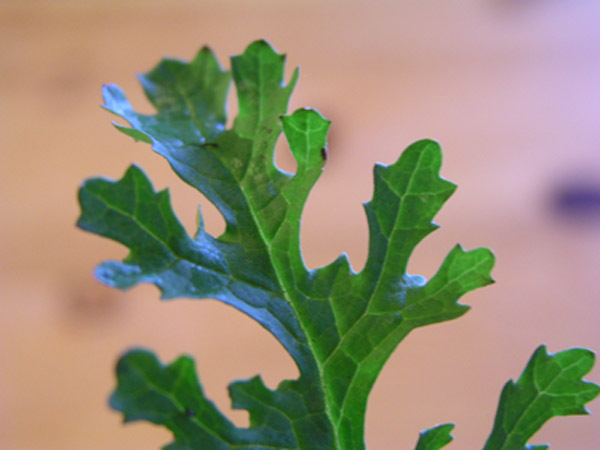 Although the plant was not typically part of the diet under normal conditions, its large, waxy leaves were important to food preparation and storage. They were commonly used to line berry baskets and to wrap around whole salmon and other foods when baked under a fire.' End quote. The website Native American Ethnobotany lists no less than 111 records of uses of this plant by Native Americans. Many were medical treatments for ailments such as headache, stroke, arthritis, lumbago, animal bites and infections, to name a few. The Thompson tribe used leaves placed under pillows during sleep or the head washed with charcoal to induce "power dreams." FunFact: While some consider the plant to be a weed, its roots are food for bears, who eat it after hibernating as a laxative or cathartic. Plant location: Seen in April 2004 hiking Silver Falls State Park (Oregon state). The plants are not especially widespread. They are found only in these United States: AK, CA, ID, MT, OR, WA, WY. Bloom period: March through July. This early bloomer will be tops on our list for better photographs of this species. 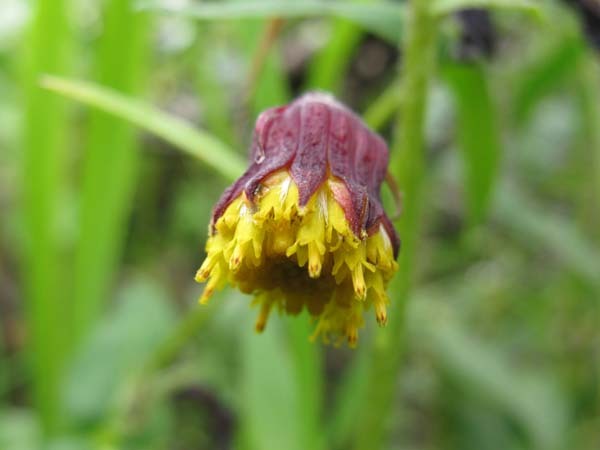 According to the book NATIONAL AUDUBON SOCIETY FIELD GUIDE TO WILDFLOWERS the plants can be seen blooming while the snows of winter are still melting. This arnica was more diminutive than many we have seen, low to the ground and in a forested area, dry to partially loamy soil. 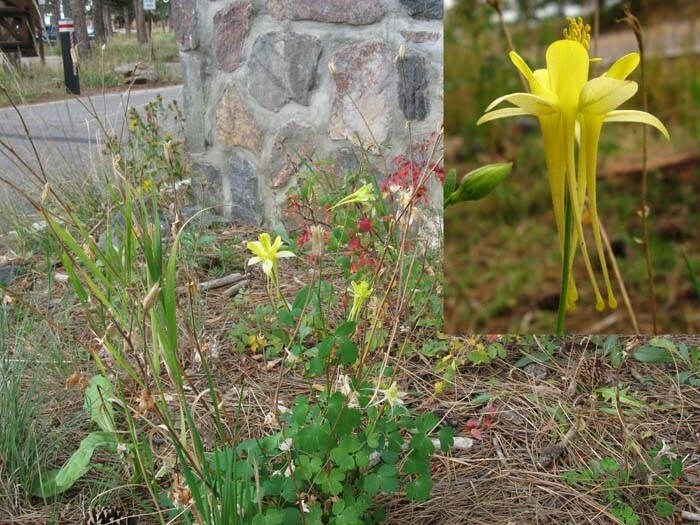 With only 30 species in this genus, we still had a difficult time getting an ID on this plant. 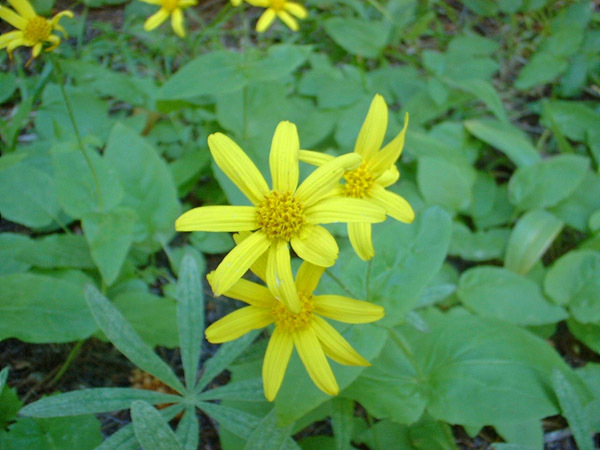 Finally a breakthrough came from the field guide, PACIFIC STATES WILDFLOWERS. Some Arnicas are effective in the treatment of bruises, stiffness and muscle soreness, as well as a soother for sprains. We are not sure if this particular species has similiar herbal medicinal qualities. A cheerful little flower to look upon. Plant location: Seen on July 17, 2005 hiking Table Top Mountain in Washington state. Bloom period: April through July, a perennial. 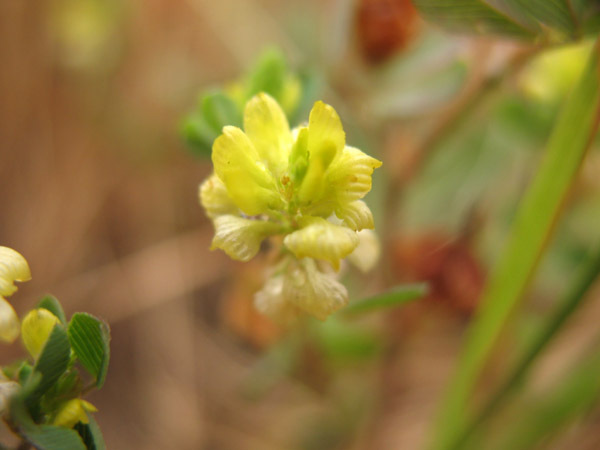 Per WIKIPEDIA: 'Trifolium campestre, commonly known as Hop Trefoil and Low Hop Clover, is a species of clover native to Europe and western Asia, growing in most areas, but specifically thriving on dry, sandy grassland habitats, as well as in fields, woodland margins, roadsides, wastelands and cultivated land. The species name campestre means "of the fields". 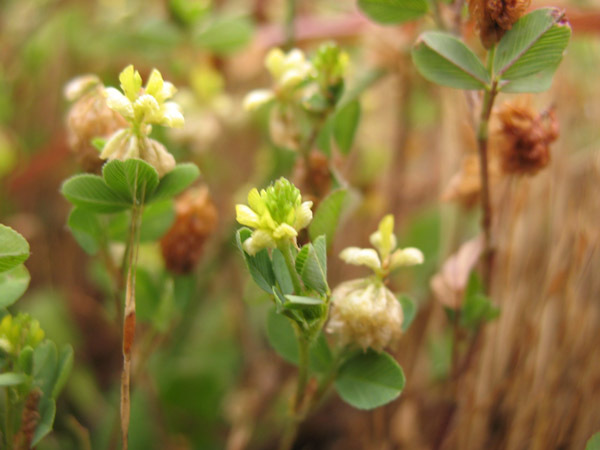 Hop trefoil is the third most important clover in agriculture because its foliage is good for feeding livestock and replenishing soil. 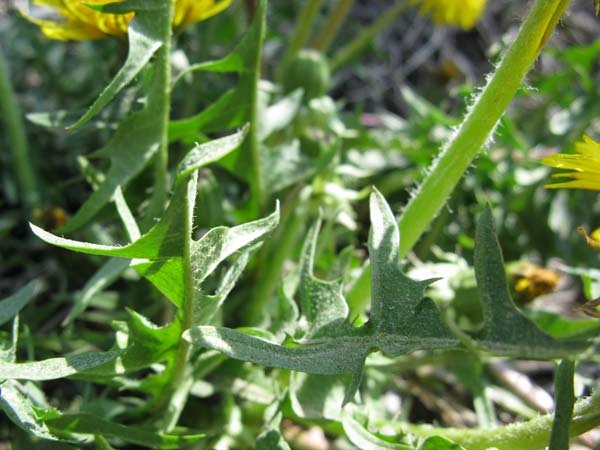 It is not generally planted, but is considered a valuable herb when found growing in a pasture. It has become naturalised in North America, particularly in the west and south of the continent.' End quote. Plant location: Seen on Jackson Highway, Washington, on July 1, 2007. Bloom period: An annual, this blooms all during the summer months. This pleasing inhabitant of the alpine realm puts on quite a show. But then after going to seed, it dies. 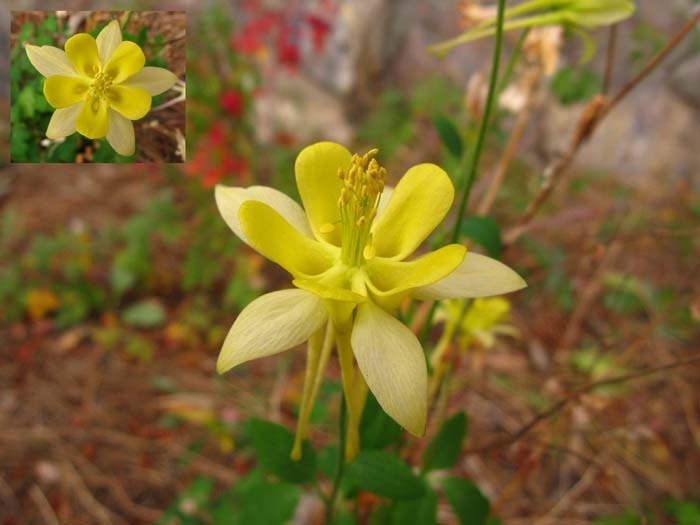 In common with the Monument Plant, the plant exsists for unknown numbers of years before it's finale. And what a show! Even though they are low to the ground, they are quite visible. The specimens I have seen have been above the treeline and have few other blooms as large as themselves to obscure them from view. Since the blooms always face the same way - towards the sun - they are commonly called compass flowers. 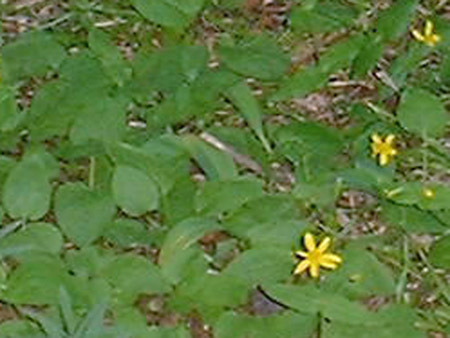 WIKIPEDIA does not show the species grandiflora as a member of the Hymenoxis genus. 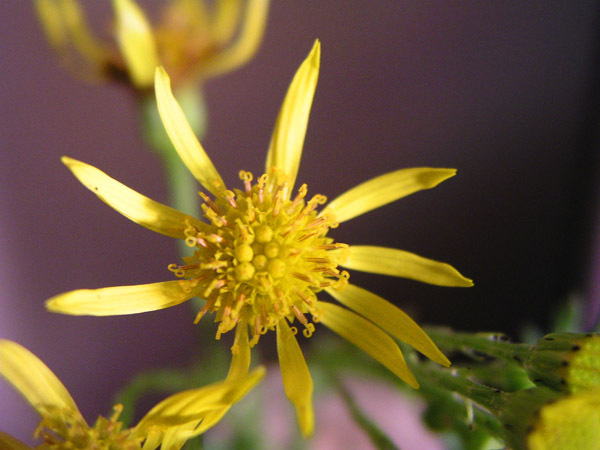 It names the genus as in the family Asteraceae, with the genus being called Bitterweed and Rubberweed. Plants of the genus are toxic to sheep. Plant location: July 14, 2008 on Mt Evans in Colorado. The pretty white flowers in the backdrop are Bistort. Bloom period: July through August. This plant representation is unique among all others on this site. It was NOT photographed in it's natural environment. I, Darice Susan Dixon, am GUILTY of picking these flowers. Mark and I were out taking a breath of fresh air and stretching our legs on a neighborhood walkabout. We had no camera with us, so...... In my defense I will say that we have seen many of these late blooming flowers around our town. I did not feel any danger of picking an unusual or endangered flower. BUT I very much wanted hard evidence of this very LATE BLOOMER. The proof is before your eyes! I carefully wrapped the flowers in a huge dampened maple leaf for the walk home. This kept the flowers and foliage in fresh enough condition to photograph at home. This plant was growing along a walking path that follows the Duwamish River. Good thing this area has no horses or cattle nearby, the plant is VERY TOXIC to both. 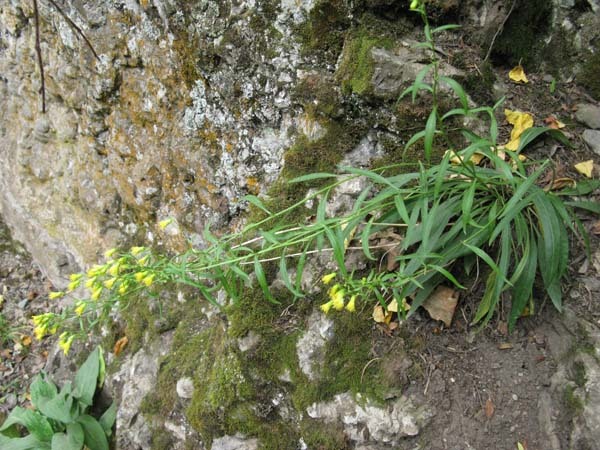 Although, the plant is invasive and could easily make it's way to such places. Native to Europe. According to WIKIPEDIA the scientific name for this plant in North America is (Packera obovata). Plant location: Tukwila Washington, this plant was sighted BLOOMING on December 27, 2007!! Bloom period: For a 'normal' plant....all through summer (smiling). The cheerful brushy look of these flowers certainly upheld the name. If the plant was pulled by the roots, it could easily be turned on end and used as a brush! 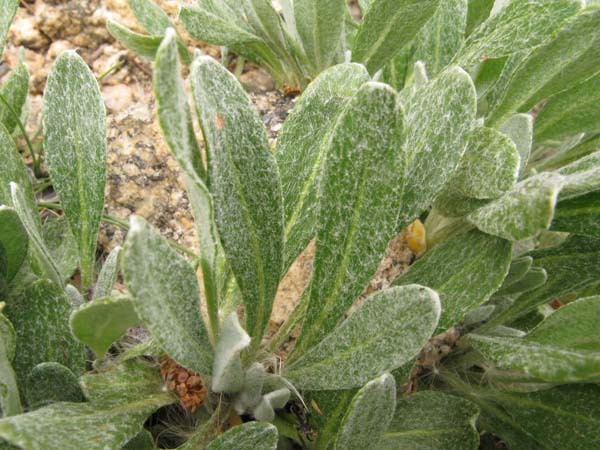 The plant is a deciduous shrub, similar to sagebrush. It is found the arid western United States and Mexico, where it is native. Colorado is almost the most westerly extent of the genus's population in the U.S. only extended by Kansas, Texas, Oklahoma, and Nebraska. The specimen shown here was a very small instance of the plant. It can grow quite large. Plant location: Found on the nature trail at Box Canyon, Ouray Colorado on August 23, 2008. 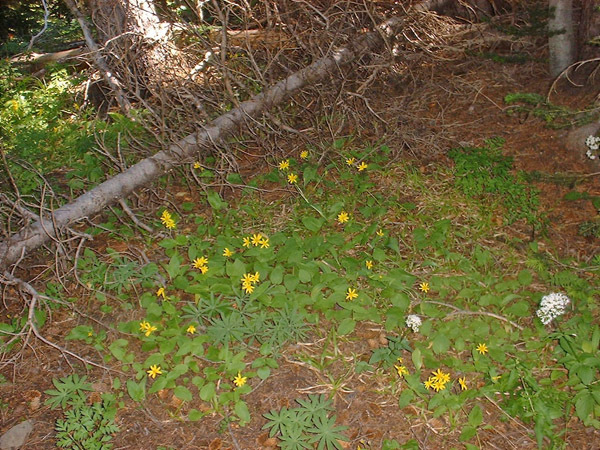 These plants are described as living in habitats from foothills to subalpine. This particular specimen pushed this boundary, we were pretty high up. Bloom period: July through September. This interesting and prolific plant is not only tenacious but is not even a native. It was introduced to our shpere from Eurasia. It was actually brought here as a food crop, even though it's taste is not appealing. The nutritional values in the leaves are it's high vitamin and mineral qualities. This plant puts forth a long main root (tap root) which is said, if roasted, to make a good coffee substitute! 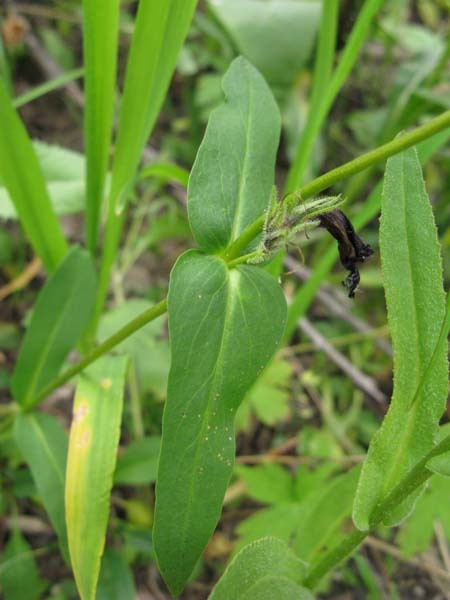 These positive aspects of the plant are overshadowed with stigma. 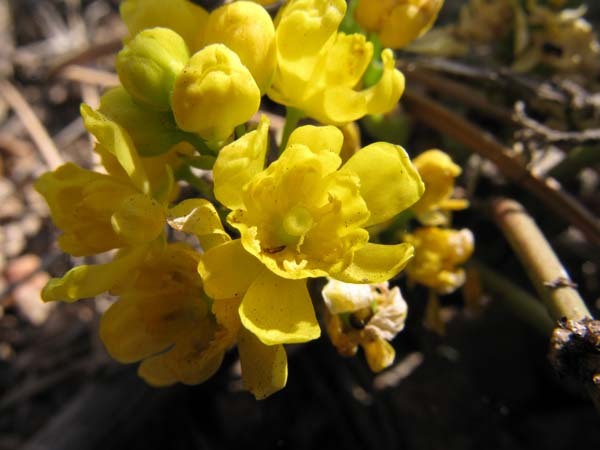 While the flowers themselves are a delightful bright yellow and make a wonderful color spot, the scrappy looking foliage of the plant is really not very appealing. This same foliage is a thief, cutting off sunlight to anything underneath it's spread - such as your pretty green grass - causing patches of dead areas there. Their tendancy to invest themselves in unwanted places and causing damage motivates the widespread use of poisen dedicated to their eradication. They are blamed for water contamination due to the heavy use of these substances. This may be perfectly accurate. Botanists disagree over the true numbers of species of the plant, some claiming serveral hundred and others only about 60. The dandelion can certainly claim longevity. They evolved 'roughly' thirty milliion years ago! Possibly the most famous aspects of the plant are still positive since they provide excellent food and medicial sources. 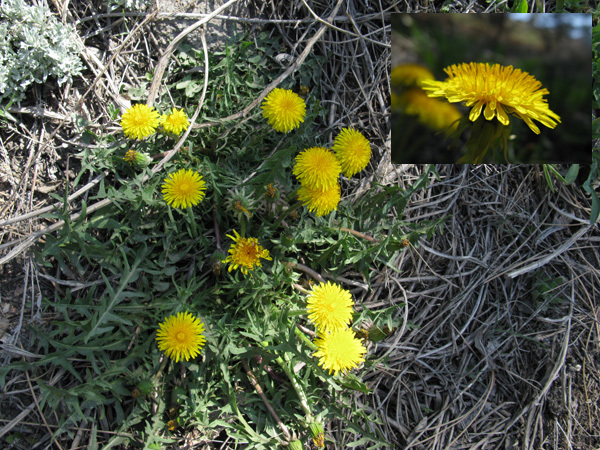 The leaves are said to be similiar to mustard greens and do not forget the infamous dandelion wine. Wikipedia has a ton of interesting information on these aspects of the plant. Go read about it!! Plant location: Photo taken on April 27, 2008 in the Rocky Mountain National Park area, Colorado. 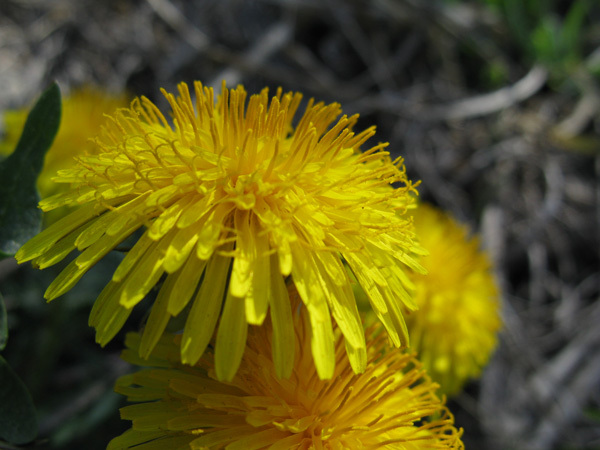 Bloom period: It seems that these plants NEVER stop blooming, especially in your lawn!! That is because they enjoy a very long bloom season - the Spring, Summer, and Fall seasons all will show these flowers! In company with a huge profusion of wildflower blooms, this little powerpack offers a delightful colorspot. The USDA plant database shows this member of the genus in only three states in the U.S.; Colorado, New Mexico, and Wyoming. 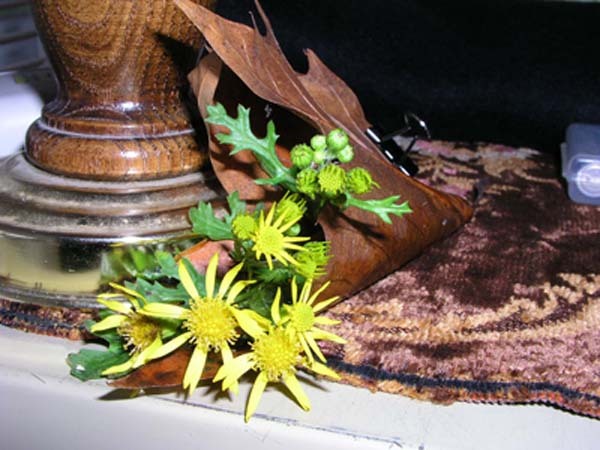 Plants from the genus Grindelia are native to the Americas. 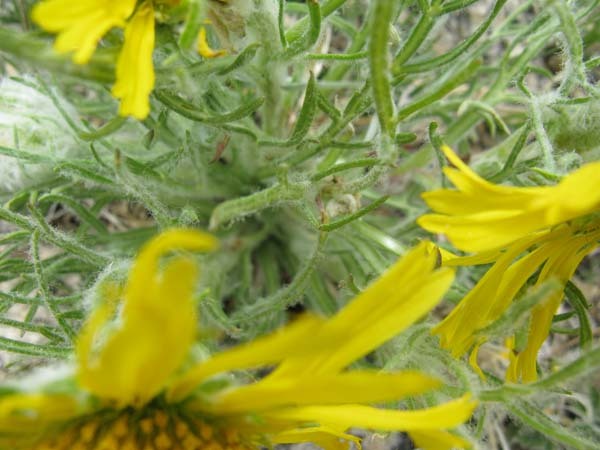 Per Dr. Mary L. Dubler, equine veterinarian is this interesting information: 'It is not too common that horses get into trouble with eating toxic plants, but in certain areas of the western states Gumweed is a concern because it accumulates the heavy metal Selenium from high-Selenium soils. Selenium consumed in larger-than-normal quantities causes a weakening of the structure of hair and hoof, so the horses start getting cracks and grooves in their hooves and the hairs of the mane and tail break. It can cause other problems too, but often the first thing the owners notice is problems with the hooves or they think the tail hairs are falling out when what is actually happening is that they are breaking. 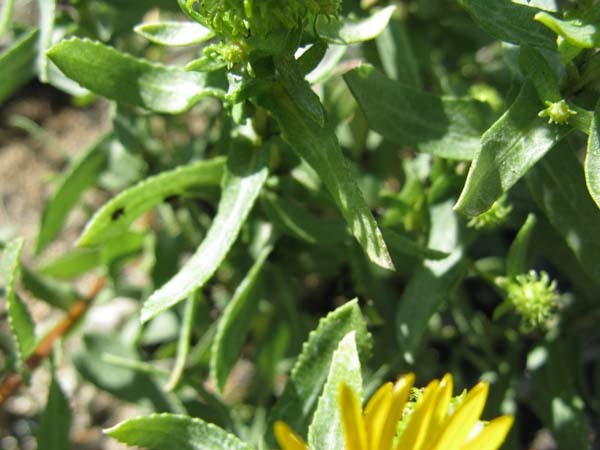 Other plants are Selenium accumulators too, but horses seem to particularly like eating Gumweed, especially late in the summer when the pasture grasses are waning'. End Quote. The following information on selenium is from Answers.Com: quote 'The biological importance of selenium is well established, as all classes of organisms metabolize selenium. In humans and other mammals, serious diseases arise from either excessive or insufficient dietary selenium. The toxic effects of selenium have long been known, particularly for grazing animals. In soils with high selenium content, some plants accumulate large amounts of selenium. 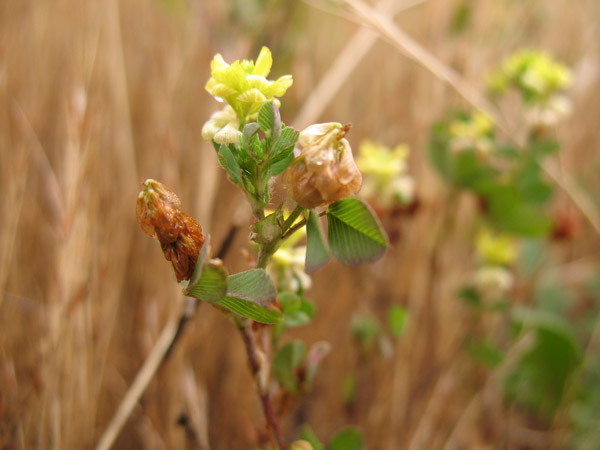 Animals that ingest these selenium-accumulating plants develop severe toxic reactions. Although toxic at high levels, selenium is an essential micronutrient for mammalian species. The accepted minimum daily requirement of selenium for adult humans is 70 micrograms. Many types of food provide selenium, particularly seafood, meats, grains, and the onion family. Mammals and birds require selenium for production of the enzyme glutathione peroxidase, which protects against oxidation-induced cancers.' End quote. Plant location: Found on Hwy 285 between Fairplay and Buena Vista Colorado - August 23, 2008. It's habitat is montane and subalpine. 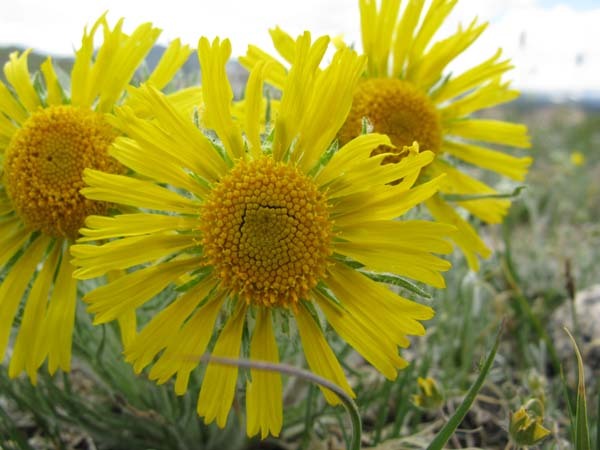 There are about 28 species in the genus Grindelia with approximately one dozen (give or take a few additional subspecies) in the state of Colorado. 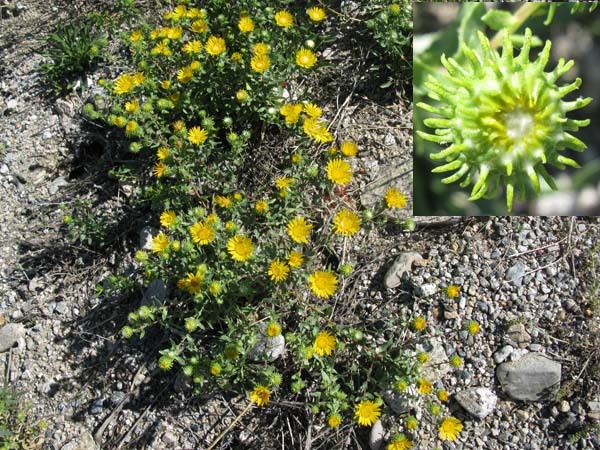 Bloom period: July to September, and Mountain Gumweed is a perennial. 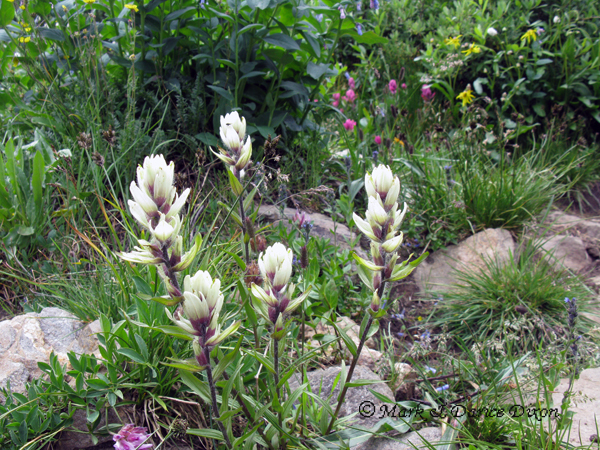 This native perennial is said to be found in the Western half of Colorado. But we saw many fine specimens in the area of Seattle Washington as well. 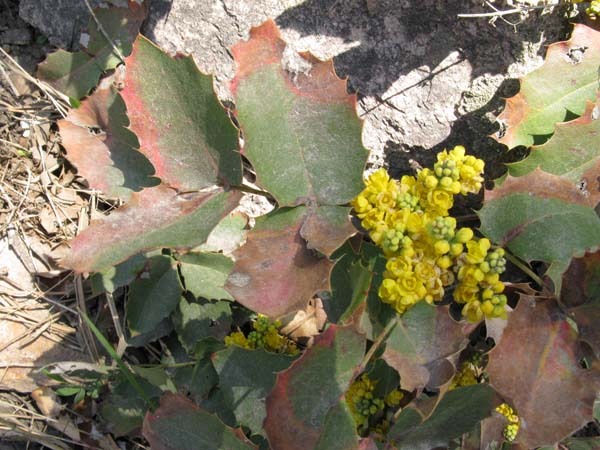 The leaves of this plant can be easily mistaken for holiday holly. The American Indians used the roots from this plant, which they would crush, as an antibacterial treatment for injuries. The plant produces berries which are used in jellies and to make wine as well, although the taste of the berries is quite sharp. Count a high Vitamin C content as a dietary plus. 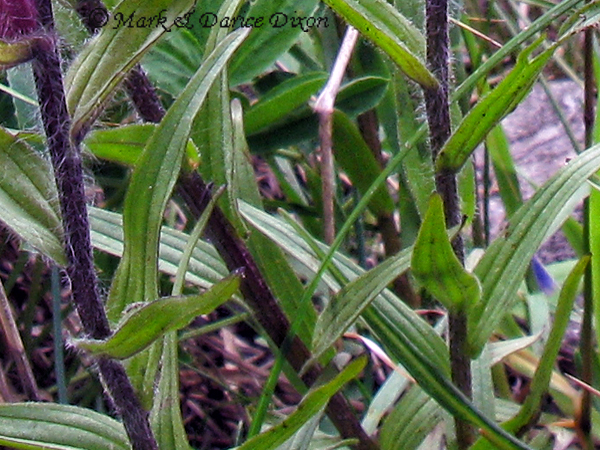 There are about 70 species in this genus with some botanists claiming more. 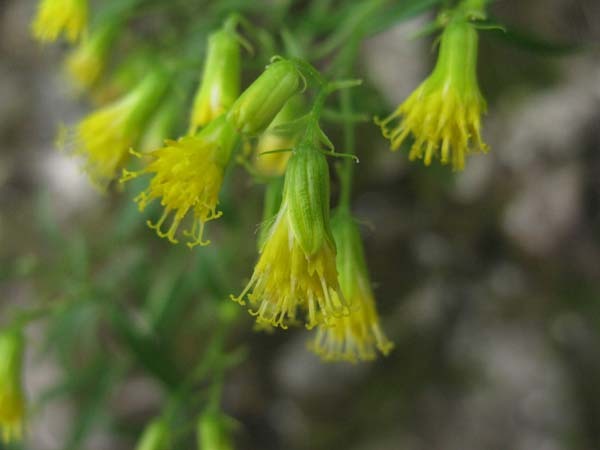 The plant is not only native to North American, but Asia, the Himalayas, and Central America as well. Plant location: Seen on April 27, 2008 in the Rocky Mountain National Park area, Colorado. Bloom period: Spring, a perennial. This plant belongs to a genus that is native to North America. There are many species with more being identified. One member of the genus was believed to be extinct but was rediscovered in 2005. The buckwheats are found in almost every state of America in a wide variety of habitats. 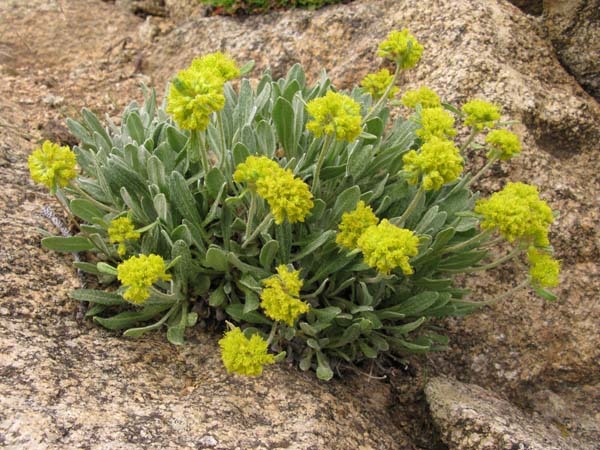 A similiar Eriogonum species from the Pacific Northwest, compositum, is shown on our website on Page 1 of the yellows. 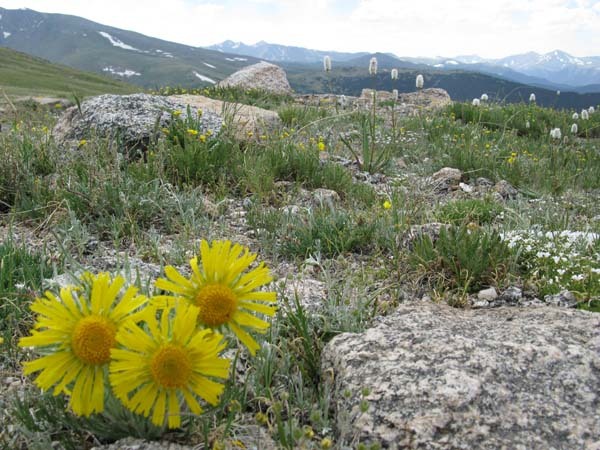 There are approximately 300 species in the genus with 50 in the Rockies. The seeds of these plants are food for a number of animals; birds, ants, and rodents. The wonderful bright color of the buckwheats make them great choices for addition to rock gardens. They dry in colorful shades of pink, red, and orange. 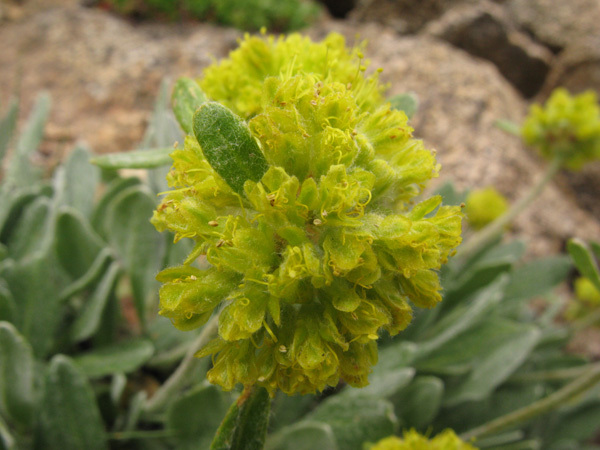 Native Americans have employed Eriogonum species in many ways - during pregnancy, and as an emetic preparation. 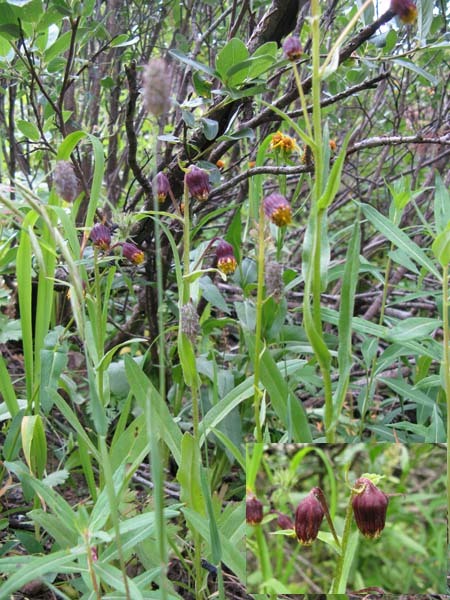 Plant location: This specific specimen was photographed on Mt. Evans Colorado on July 20, 2008. We have seen Sulphurflower Buckwheat in many sites here in Colorado. Sites include foothills, montane, and subalpine. Bloom period: June through August. 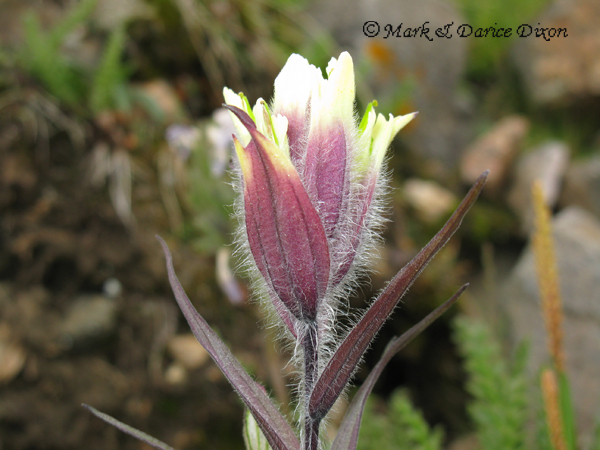 This species of paintbrush we learned is a common mountain dweller in the Colorado. From WIKIPEDIA comes this information: 'Castilleja, commonly known as Indian paintbrush or Prairie-fire, is a genus of about 200 species of annual and perennial herbaceous plants native to the west of the Americas from Alaska south to the Andes, as well as northeast Asia. 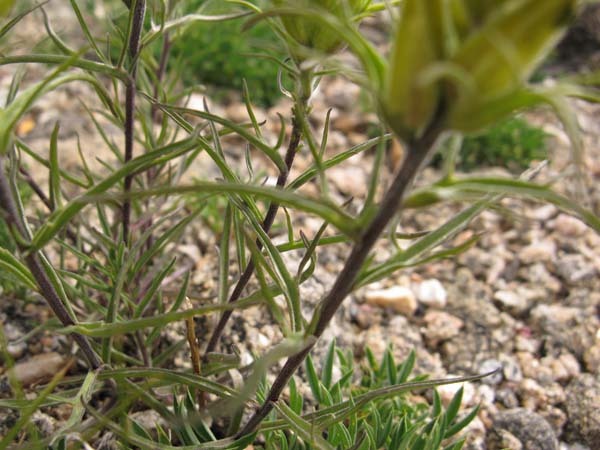 They are semi-parasitic on the roots of grasses and forbs. 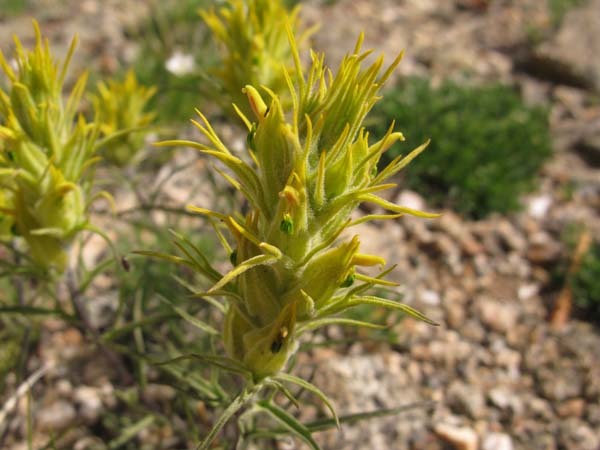 One of the species of this genus, Castilleja linariifolia, was adopted on January 31, 1917 as the state flower of Wyoming. 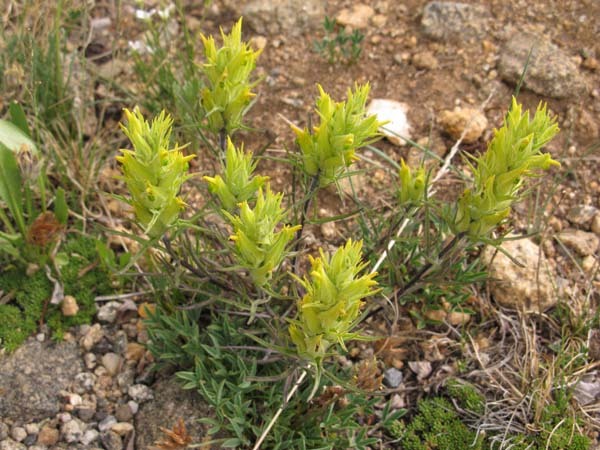 USES: The flowers of indian paintbrush are edible and sweet, and were consumed in moderation by various American Indian tribes as a condiment with other fresh greens. 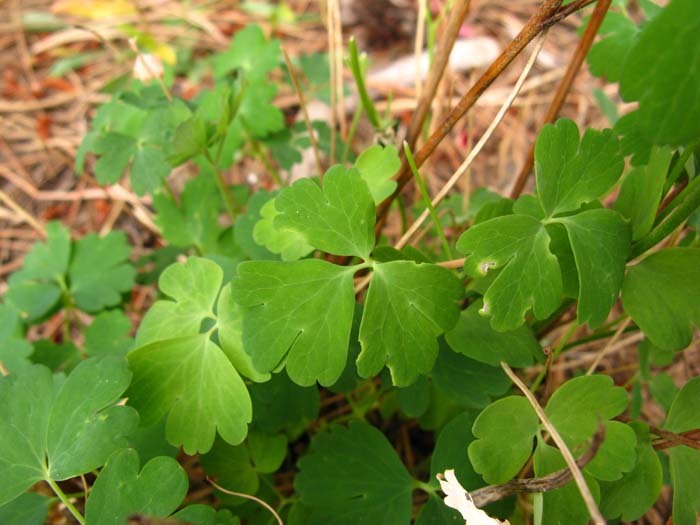 These plants have a tendency to absorb and concentrate Selenium in their tissues from the soils in which they grow, and can be potentially very toxic if the roots or green parts of the plant are consumed in quantity. The Chippewa Indians used a hairwash made from Indian Paintbrush to make their hair glossy and full bodied and as a treatment for rheumatism. 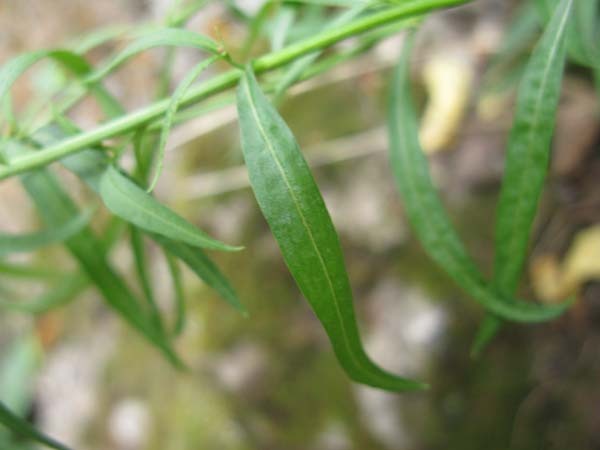 The high selenium content of this plant has been cited as the reason for its effectiveness for these purposes. 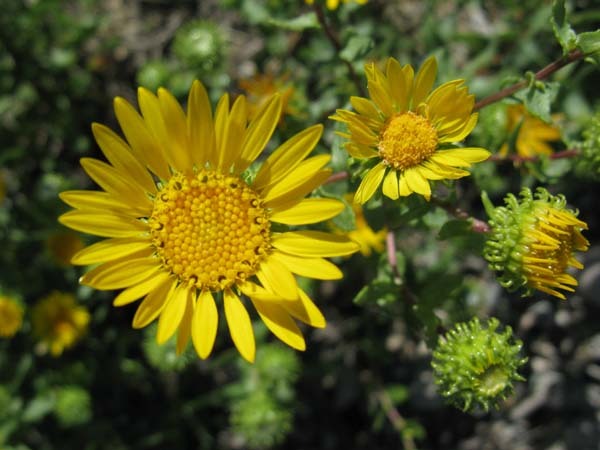 Nevada Indian Tribes used the plant to treat venereal diseases and to enhance the immune system. 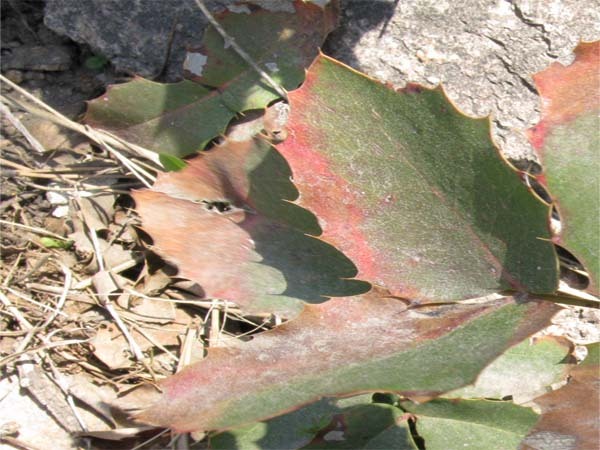 Various other tribes used the plant as its name suggests -- as a paintbrush.